I always have great passion towards photography but I'm just too poor to take up photography lessons or invest in a DSLR currently, so I will just browse through the camera website and magazines to update myself with the latest information or various photography tips. Thanks goodness, now I've found a cheaper alternative rather than DSLR and easier to use too, the Samsung NX Mini! It's the slimmest and lightest interchangeable-lens camera to-date developed by Samsung, weighing 158g (body only) and sporting an ultra slim (22.5mm) design, which enable the NX mini can easily slip into almost any pocket or bag yet looking stylish. As I've mentioned, it's an interchangeable-lens camera and Samsung has actually introduced two NX mini lenses (NX-M) which are optimised for use with the NX mini body, providing a variety of options to meet individual shooting preferences: NX-M 9mm F3.5 ED lens and NX-M 9-27mm F3.5-5.6 ED OIS lens. Read my previous review focuses on its interchangeable lenses here. 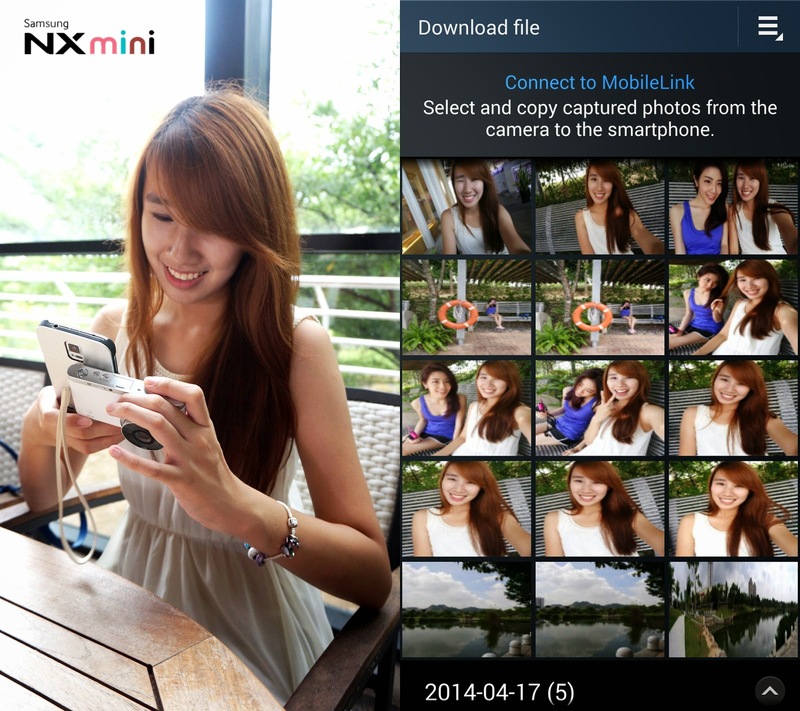 Look at our cheesy pose featuring Angeline and you will know how much we enjoyed selfie with the NX mini! Now let's talk about my favourite feature of all in the NX mini, Tag & Go! It features advanced WiFi and NFC integration that makes it seamless to share images with NFC-enabled devices, such as smartphones or tablets, simply by touching the two together. Mobile Link: Select and transfer multiple images to the paired mobile devices. Remote ViewFinder: Control the NX mini via a smartphone, perfect for a large group picture and long exposure shots. Group Share: Send images to up to four devices at the same time, eliminating the time-consuming and repetitive process of sending pictures to multiple friends. Baby Monitor: When noise is detected, the paired smartphone is activated via an app, allowing parents to see if they need to attend to their child. No worries if you do not own a Samsung smartphone because it's compatible with iPhone and other non-Android devices too. 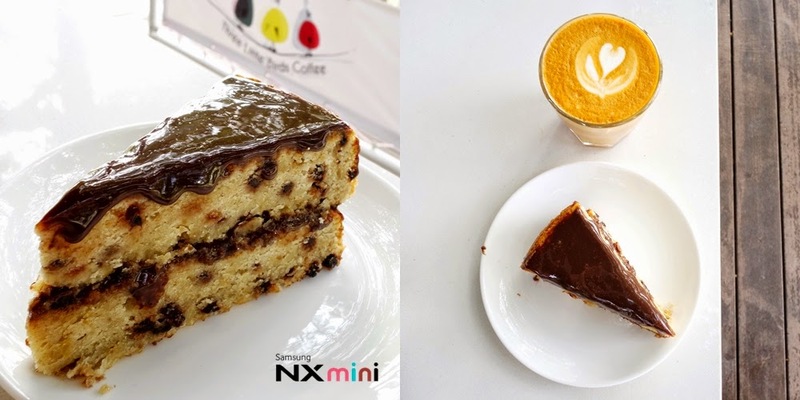 To transfer images, you will first need to download Samsung SMART CAMERA App from Google Play Store or App Store, connect your mobile devices to the NX mini via WiFi and there you go! I just can't stop admiring how tiny this NX mini could be and guess what, it's even smaller than my Samsung Galaxy S5, which could fit into my pocket perfectly and my smartphone doesn't. 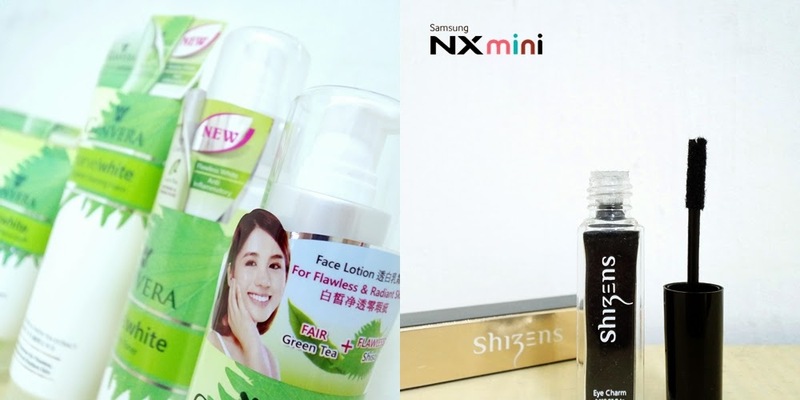 Similar to what other cameras offered, the NX mini also has various 'Smart' mode such as beauty face, landscape, food, waterfall, rich tones, fireworks and night etc. Its impressively fast 6fps continuous shot mode allows you to take continuous shots, so every detail can be captured and no moments are missed. The fast 1/16000 second shutter speed freezes fast moving scenes, allowing for the dramatic capture of motion in crisp detail, without blurring, especially when people love to take jump shot nowadays. If you're wondering, the NX mini has 20.5MP BSI CMOS sensor producing high quality and vivid colour pictures. The NX mini features a solid premium metal body with a luxurious leatherette finish, making the camera the natural choice for style-conscious shooters looking to make a statement. After months playing with the NX mini, it's not only a gadget to me but also an accessory to complete my #ootd, don't you agree? :) You can choose from the five available colours (white, pink, mint green, brown and black) which best suits your style and add some 'colour' to your life. Besides, WiFi and NFC integration could be an important factor where you can upload pictures straight from your camera to various social media like Facebook and Instagram and some blog campaigns would require live posting too. By the way, if you're wondering, my NX mini doesn't turn yellowish (but my hand strap does) despite heavy usage for these four months and dirt can be easily wipe using tissue. On the other hand, things that I dislike about the NX mini would be its basic 9mm pancake lens which is not zoomable and does not contain optical image stabilization. I rely heavily on zoom lens as a viewfinder and so I hesitated to bring along my NX mini to events at the first place. Based on my personal experience, I would recommend you to purchase the zoom lens as well especially for concerts and events where you can't go up close and capture their faces. After my four months experience of using this NX mini, I realize that the pictures taken with NX mini seems to be a bit darker based on my personal preference and therefore I would use 'Aperture Priority' or 'Manual' mode most of the time. No worries that this camera also comes with build-in flash and fill-in flash for night shots. Last but not least, it doesn't come with a lens cap so you will have to be extra careful especially when putting it inside your bag unless you have a pouch for it. 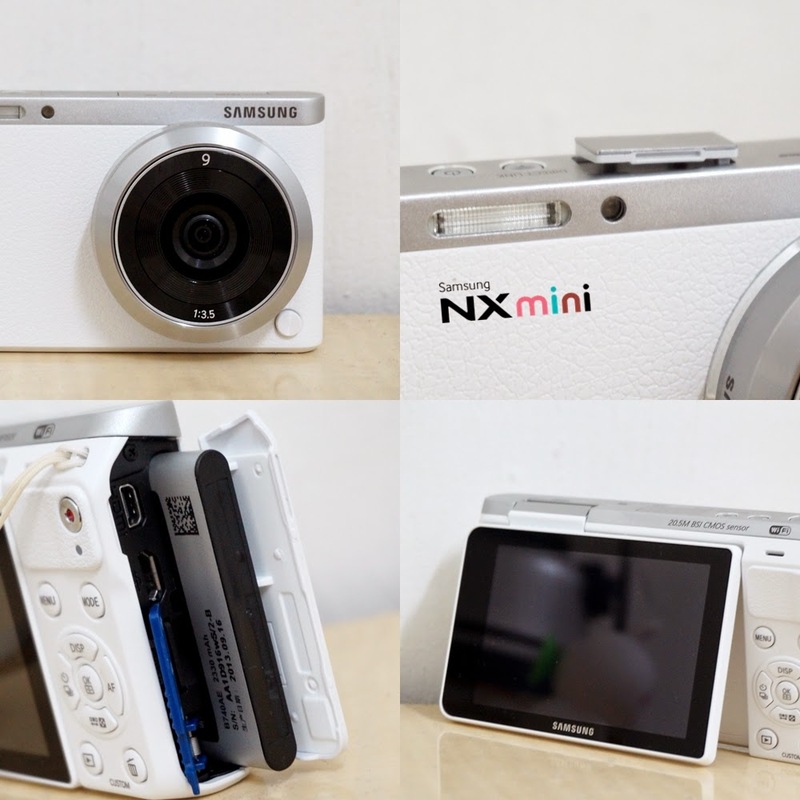 Samsung NX mini comes in 5 colours: white, pink, mint green, brown and black. 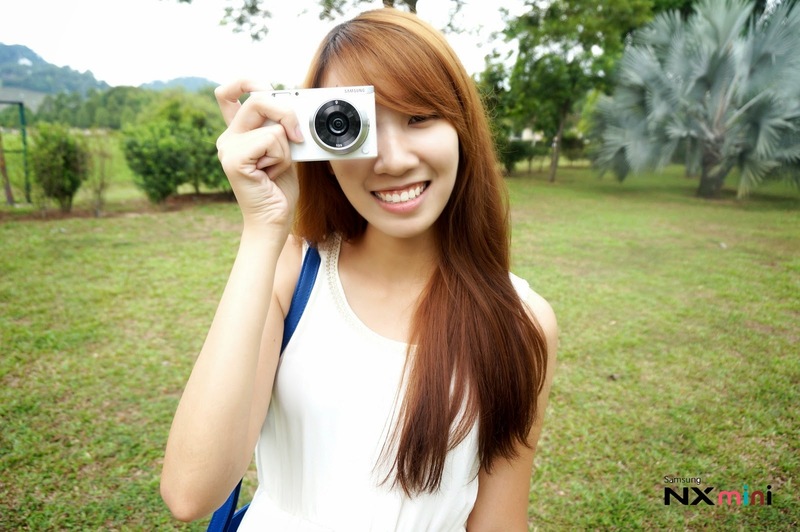 It retails at RM1,399 only (with 9mm F3.5 lens) and is available at various Samsung stores. Sudah bisa dibeli di indo ya mba? How much in rupiah? Thank you ;) I'm a fan of samsung too. I love Samsung cameras. I'm currently using the NX3000 and I love it, the versatility of having something that works both as a semi-DSLR while allowing newbies like me the peace of mind with the auto function and what more, the pictures always turn out great. nice camera! i love samsung products, always so sleek and pretty, with good features too! very nice pictures dear....nicely done!! this camera is so so lightweight!! NX Mini looks really cute and the photos are great. That looks like a great camera ! I"m also loving how the screen flips over! It's on my wishlist now. I love the quality of the photos and how the screen flips 180 degree so that it is easier to take selfie. Wow it takes gorgeous photos! I wish my phone camera was this good as I hate carrying around so many electronics! omg im so jealous you got that camera..
Oh, it tempts me out since I have a DSLR one. Way back then, I got confused whether to choose this kind of camera or DSLR. But many of my friends were suggesting on investing to DSLR. And now I have it amongst all the activities of blog reports. Yeah, I'm actually careless, so I'm afraid to "hurt" my heavy camera. Oh my, now I want this! LOL.